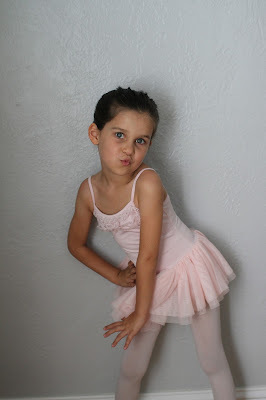 I honesty have not idea where these sassy poses come from. Trust me when I say I am not taking duck face selfies all day ;) Are they just ingrained in girls?! But this next one was her natural way to pose and she looks adorable. It's funny how the longer a kid does something, the less fanfare that goes along with it. Maybe it's just everyone being used to it and knowing what to expect? Or already having the gear on hand? I just remember it being such a big deal when Isla started ballet...and it was (and still is) overflowing with cuteness. 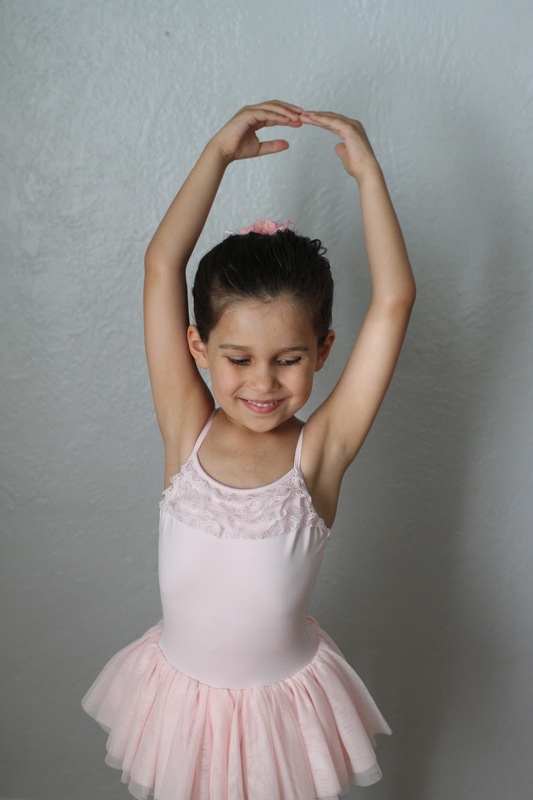 Isla began her third year of ballet this past week. This time, the class is longer and tap is added in as well. Isla enjoyed her first class back. She doesn't have any of the girls from her class last year with her, but does have two girls from her first year back with her, so there were a couple familiar faces. And Callum, he is going to have to get used to the routine of ballet again because all he wanted to do was run away from me and play in the drinking fountain...oh and throw every toy I brought for him to play with. In case you care, some ballet adorableness of Isla over the years - her first little course with friends, the beginning of the year - fall 2015 (when she also had an idea how she wanted her photo to be), recital 2016, the beginning of the year - fall 2016 and recital 2017.